Geely Holding, the owner of Volvo and Geely Automotive have agreed to to buy Proton from DRB-Hicom, beating rival bidder PSA Group. Geely is said to have bought 49 percent of Proton, according to Reuters. Details of the deal remain unknown as DRB-Hicom could not be reached as of press time. Other than the PSA Group which owns Citroen and Peugeot, Renault and Suzuki have also been rumored to bid for Proton. Proton is said to have two manufacturing plants that can assemble 400,000 cars yearly but is now running far below their maximum potential. With Geely's help, Proton could improve and grow itself in the neighbouring right hand drive markets, including Malaysia and India. 49%,means those Incumbant still sit as Chairman,CEO,CFO, MD & GM,inside Proton Factory alot of Corruptions,i wonder how the Chinese can fight them. if Proton had already own the lotus for so many years, what makes Geely think they can do better in turning things around? Unless this venture is just to do a hit and run. Go in, check out the tech and straegy of Lotus, go and mix and match and make the geely-volution a better product. Think when come to corruption, the Chinese buay su seh. while thats true, its a death sentence in china if caught. Unlike some other countries. That is a good move by Geely to capture SEA. Their news cars are so much better than those found in Singapore. One of the most important is to obtain Lotus, that will help Geely. 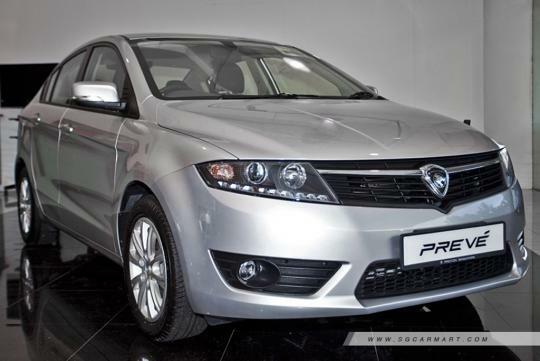 Proton is use as the base of manufacturing Geely right hand drive. The first vehicle is a SUV. Geely main aim isn't really to aquire Proton but Lotus light weight material engineering to meet future strict gas emissions. Hard truth is nobody's interested in Proton. Yes is one of Geely aim. They need to have a place to manufacture right hand drive car and penetrate SEA market.